When your Hairdresser isn’t going to be around for awhile! My hair is quite naturally straight. 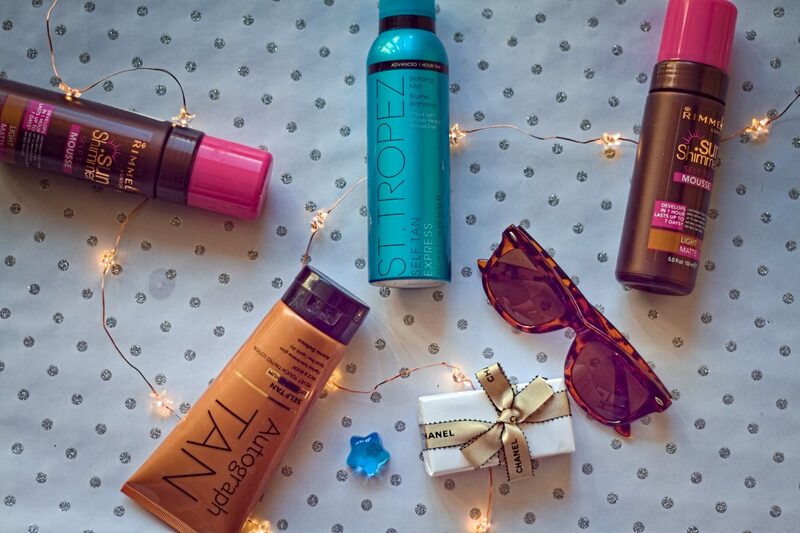 I don’t like to faff about with endless hair tools and styling sprays. So, my usual request from the hairdresser is a half head of highlights, a few long layers, and a trim. Over the years, there has been the odd variation of a bob, or more layers added – but, no major changes. This is the powder bleach and developer that i used to lift my highlights. My natural colour is mousy brown with some lighter shades, here and there. The texture of my hair is quite fine – but I take after my mum in that I have a lot of it. Over the years, I’ve made colour, rather than cut, my priority. This is because I have a lot of red in my hair and it can be tricky to colour. I have, on a few occasions, left the hairdressers with a strange hue, which I haven’t noticed until I’ve arrived home. 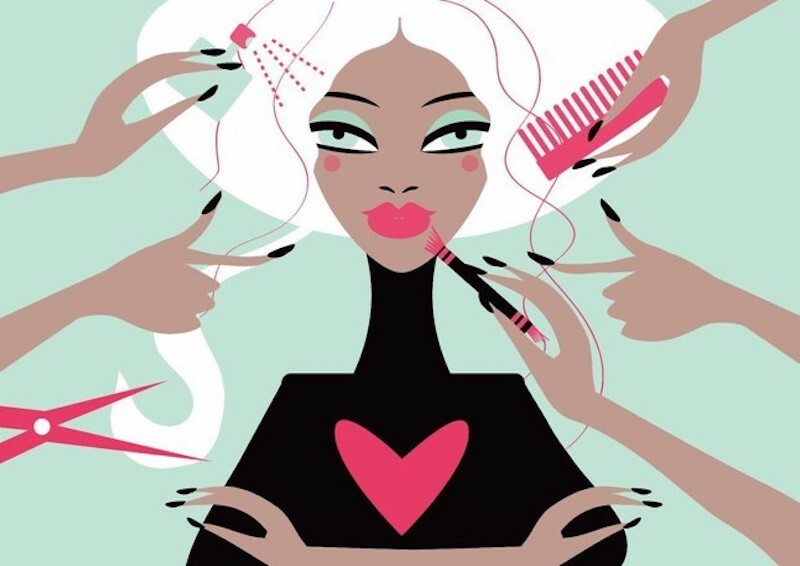 Why is it your hair always looks so different in the hairdresser’s chair? My current hairdresser is very experienced and makes her job look easy. I know a lot of training and expertise is needed and she demonstrates all of the qualities of a great hairdresser. 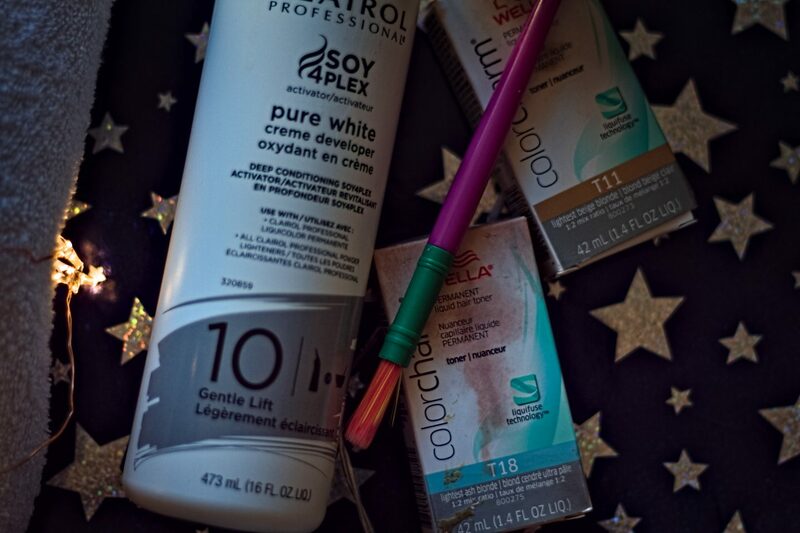 These are the two toners plus the developer I used to tone my highlights. Last year, my hairdresser wasn’t available due to maternity leave – so, my hair routine altered slightly. My choices were to either find another hairdresser, or do something myself, in the interim, until she returned to work. So, I decided to do the bare minimum with my hair to see where it would take me. I thought, to get me over the next six months, I would learn how to put several highlights on the top layer of my hair to brighten it up, hence, extending my time to need a hairdresser. I don’t have a lot of grey, so I decided I would see how I got on, with regard to touching up my roots. To begin my research, I watched a lot of “YouTube” tutorials. I also read up on how to apply highlights using bleach and developers, and then how to tone my hair, if the result was too bright. I only wanted three highlights on either side of my parting – which I thought would be enough. I didn’t touch my hair until November of that year (four months after my last visit)! My hairdresser had given my hair a good trim in late July, so the length was fine. I found a few helpful tutorials. I had also picked up quite a lot, over the years, watching my various hairdressers at work. I can’t say I wasn’t a little bit nervous, from the outset. I sent away for the solutions needed, then set to work. I tested with only a few strands of hair and it looked fine. So, this spurred me on to do all six highlights. I have used this product in the past on my temples to hide the grey. I found it to be very good. Preparation was key. So, I separated the few highlights, securing them with small clips. Then, I applied the bleach, covering each one with tin foil. 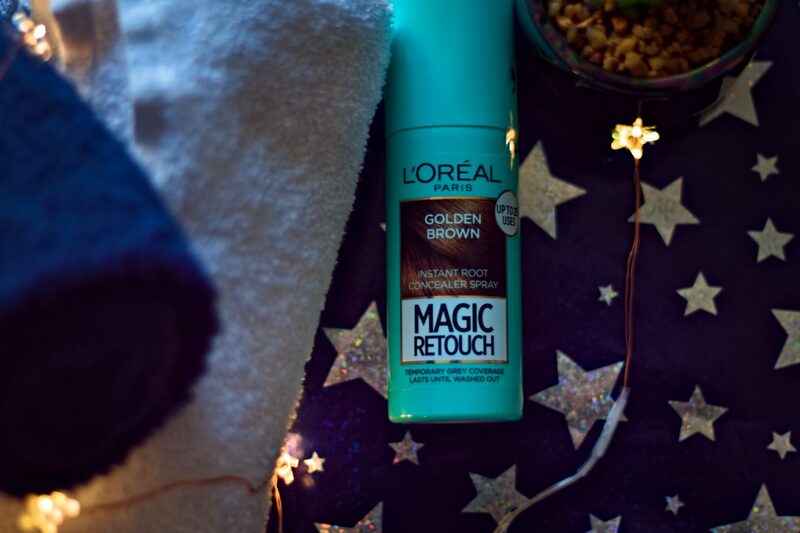 When the highlights had lifted to the honey blonde I was after, I whipped the foil off and washed my hair – not applying conditioner, as per the instructions. Then, I brushed my hair out and applied the toner to my new highlights, which left them a nice wheat shade. As previously mentioned, I don’t tend to get too many greys. So, in December, I did buy a Clairol root touch up (hair dye) – and, with a small paint brush, I applied it on a few greys around my temples. But, I could have just left them as there weren’t too many and they honestly looked OK. It did cross my mind to stop fighting the natural ageing process in favour of letting my silver strands shine through. And, seeing as there’s not a lot of grey showing, I may just leave them, in the future. The general reaction to going grey is very positive and natural. I admire women who have decided to let their coloured hair grow out and go “au naturel”. I’ve heard the growing out phase can be a little tricky. But, once the natural highlights of silver are through, as I have seen on some women, it can look so stunning!! Of course, we are almost into March 2019, and I have had my usual half head of highlights done, as well as a much-needed trim. 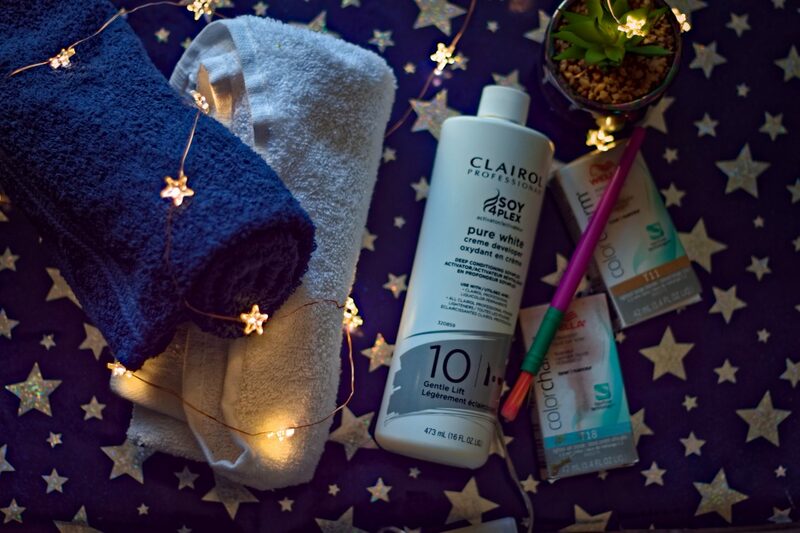 I still may do my own hair, now and again, as it means I can stall the return to the hairdressing salon by at least four weeks – saving myself a little money. And, it feels quite liberating, too. I hope you have enjoyed this post. If you have any questions, please leave a comment and I will get back to you as soon as I can. If you would like to check my hair out, you can take a look at some images on my Instagram page. I started Instagram in August 2018 – so you will be able to see some “before and after” images. Please follow the link for Instagram on my homepage. I started using Retin-A at the beginning of 2016. 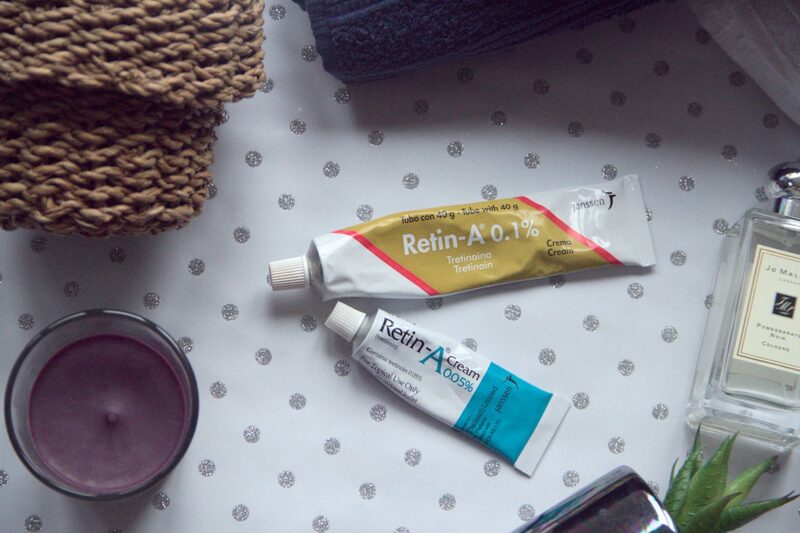 This post is purely to talk about my experience using Retin-A for coming up to three years. I’ll briefly explain what it is. 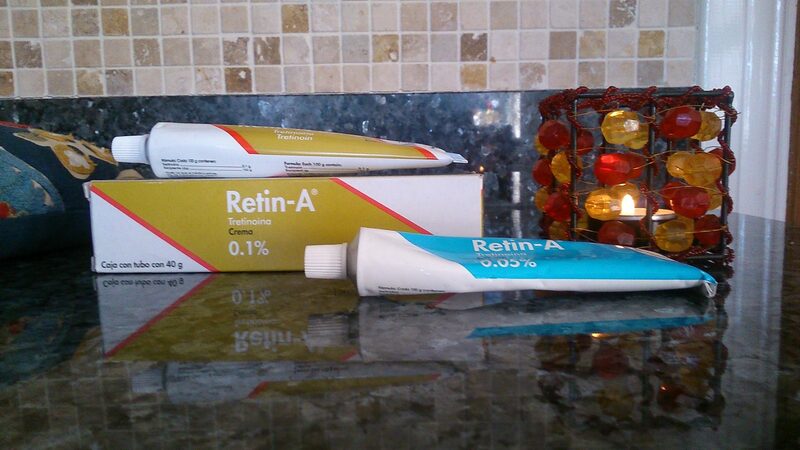 Retin-A is a brand name for tretinoin which has been approved for medical use, since 1967. It’s a medication used for the treatment of acne. 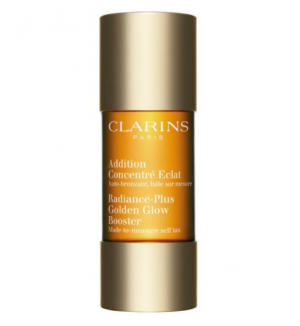 It’s also considered to be the “gold standard” of anti-aging topical treatments. It is thought to be effective on reversing the signs of premature aging, such as wrinkles; age spots; sagging; and dullness, by increasing collagen production deep within the skin. 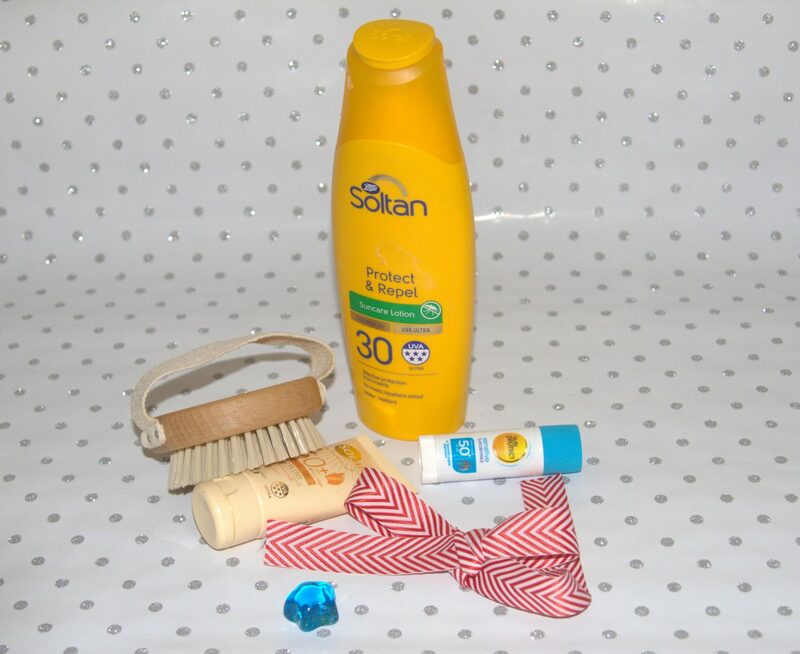 Because of this, Retin-A should be used along with sunscreen, daily. My reasons for starting to use it was my skin was dull and lifeless. The usual symptoms of getting older, along with the menopause, was my reason to look for something that would help me. Around this time, I decided to not only look at my skincare but my lifestyle as well. I felt unfit – both physically and mentally (my poor hubby!!) – that is probably a whole other blog post! I had always exercised – but had let it slip – so I started again in a more routine way, which was not only good for me physically but mentally as well. I have a static bike and I put together my own exercise routine – incorporating weights and stretching. I have tried my best to stick to 3 times a week, but, like everyone else, I sometimes fall off the wagon and it takes will power to get back on the bike (literally)!! I’m not much of a social exerciser so the gym isn’t for me – though I am going to start yoga, in 2019. I also really enjoy going for country walks around our beautiful countryside. Back then, when I was doing my research, I listened to women, who, said they hadn’t had any cosmetic work done, but their skin had a great glow. I wanted that ‘glow’. Whether that sounds shallow or not, I just wanted to improve my skin and look better. So, I decided to give it a go – what did I have to lose? I understood it would be a long journey though, and, if there were to be any improvements it wouldn’t be overnight, and patience would be needed. Retin-A must be used sparingly (pea size amount), nightly. There are side effects like peeling; redness; dryness; and irritation. So, I decided to start with the 0.05%, though there are lower strengths available. I was unable to buy it over the counter in the UK. So, over the years, I have either bought it in Europe, (or Mexico, on the occasional long-haul vacation), or, asked friends to bring me tubes of it back when they have been on holiday, or, visiting other countries. This has always kept my supply in check. 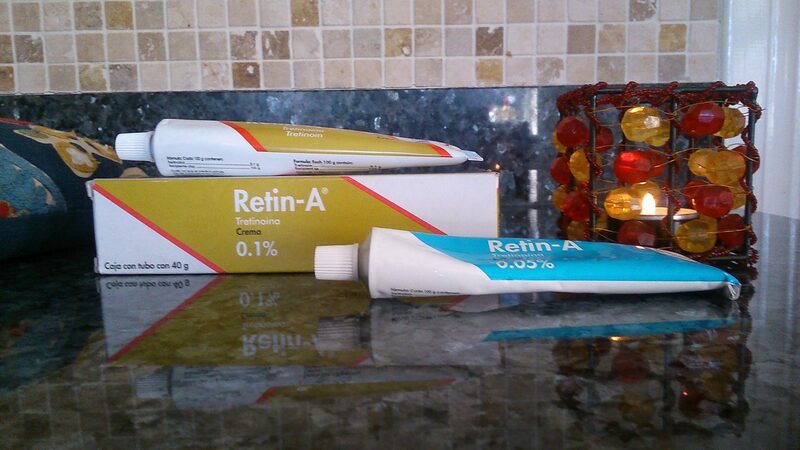 I know Differin (a retinoid known as Adapalene) is available to buy in the US over the counter. Adapalene is, apparently, more tolerable to other topical prescription retinoids and gentler on your skin, while still effective. I haven’t tried it, preferring to keep on using the cream. I started using Retin-A once a week for the first month, twice a week the second month, leading up to every day after approximately six months, always in the evening. 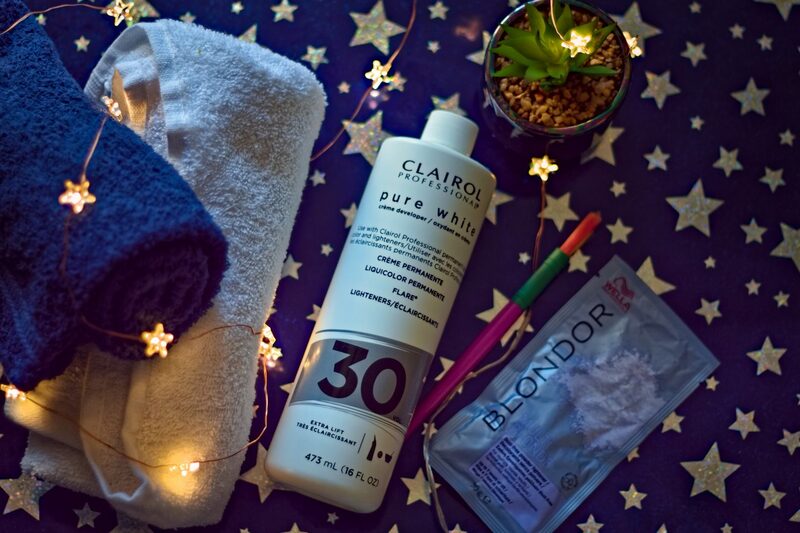 In the beginning, I would wait until my face was completely dry following my night time cleansing routine. The skin is apparently more poress when wet. I would then apply a light serum followed a few minutes later by the Retin-A. Then, after about five minutes, I would apply a night time moisturiser. At first, I applied the cream around my eyes avoiding the sides of my nostrils and around the mouth, as I had read these are very sensitive areas to be avoided at first. I have since read that using a moisturiser following my application has probably helped transfer the cream to these areas from early on, breaking down the intensity. Using a serum before applying Retin-A and moisturising after, was beneficial to building up a tolerance to the cream in these sensitive areas. During the first year and a half, I slowly built up to using it every night. But the slightest irritation and I would go back a step by dropping a day for a few weeks and so forth. This is probably why a lot of people give up using it, as it takes patience for your skin to acclimatise and adapt. In my third year of use, I increased to the 0.1% strength and have been using that every other night, alternating with the 0,05% – my skin is still not ready to use the higher strength every night and seems good with the high/low application. I am slowly becoming acclimated to it. I do still get slight peeling and now I apply it directly to my under-eye area, but I still don’t apply it onto my eyelids or below the brow bone, I do, however, apply at the sides of my nose. In my opinion, Retin-A has improved my skin. I did have a few age spots from the sunshine over the years on my cheeks – but they have faded slightly. I’m happy with the results and will probably use it, forever! Don’t get me wrong, I still have lines and crow’s feet but, hey, I’m 58 years old and I don’t want to look way younger as I think that would look a little odd! I just want to look the best I can for my age and I’ll be happy with that. I have read articles where women have said that their droopy eyelids have improved using Retin-A. If you are interested, check out the vlogger, Jackie, from “Hot and Flashy”. Jackie said Retin-A has helped her and has provided photographs to illustrate this! Going forward, and knowing I am now going to log the use of this cream, I will now take close-up photographs and I will monitor, on a yearly basis, especially as in a years’ time, I will be acclimatised to the full strength 0.1%, hopefully! I am not quite ready to go bare faced. 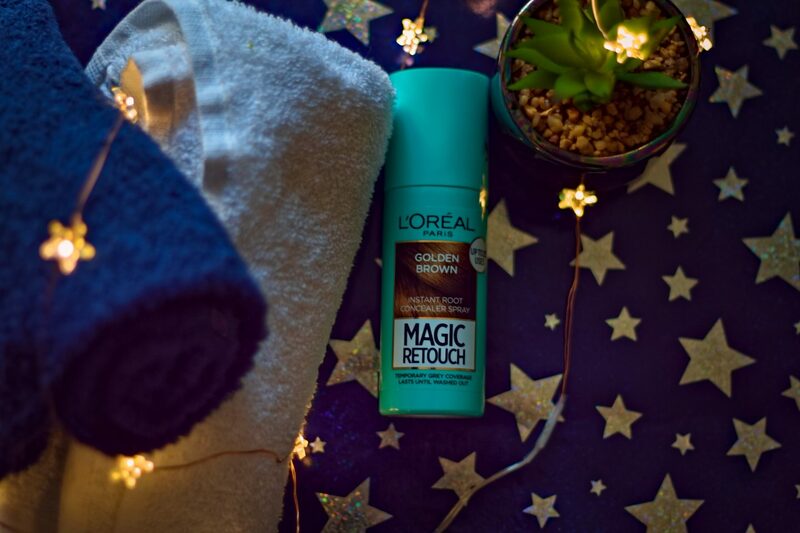 I love a light, medium touch of foundation to improve the look of my skin and choosing the right one can be a tricky, costly affair if you get it wrong. The choice on the high street is mind boggling and can be both daunting and confusing if you don’t know what you’re looking for! 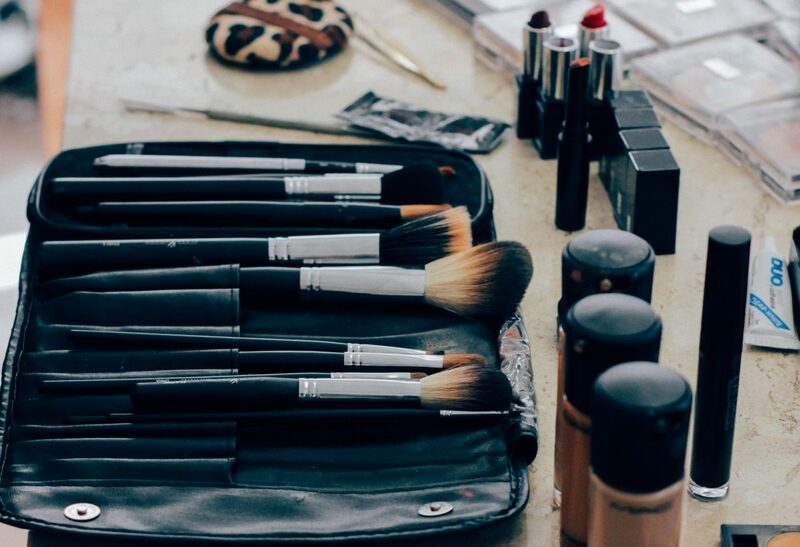 During my younger years, bringing up my family, working, and running around at ninety miles an hour meant minimal maintenance regarding my makeup. It was applied very quickly and if it took away the deathly white glare that I had woken up with, I was content, happy and ready to go with my busy day ahead! There wasn’t the choice back then, unless I was just too busy to take much notice. Of course, currently, there is so much choice it is hard to keep up! Back then, if I was looking for a good foundation, I would do a little research, then get a few samples to try, just in case I had some strange horrible reaction to the ingredients. 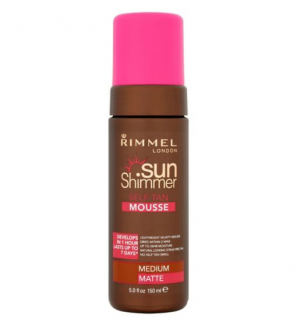 Always wanting light coverage that would hopefully give me a little radiance, if possible. The prerequisite was that it was a good, quality product. The one I settled for and used for years was Clinique’s “Super Balanced Foundation”. This, I found to be very good – it wasn’t too heavy, it was light in coverage and looked quite natural. I had no knowledge of applying foundation primers in those days. Out of curiosity, I got a sample of the same foundation, the other day, in ivory – which is my colour – and, it is still a great foundation. My wish list, foundation-wise, is to have a product that will smooth out imperfections, whilst not settling into pores or wrinkles; give me a bit of a glow; and not disappear after a few hours’ wear! I have listed my current four favourite foundations below. And, I will continue to try new ones, as there are so many coming out, all, of the time. When I was doing my research, this foundation kept coming up time and time again with fantastic reviews for mature skin. So, I gave it a try and immediately loved it. I have been using it for around three years. I find the foundation easy to apply, it gives a very sheer look, evens out skin tone, whilst still looking natural. It may need a slight touch up if worn all day and can look a little luminous around the four to five-hour mark, but a fine dusting of finishing powder does the trick to sort this, I find. 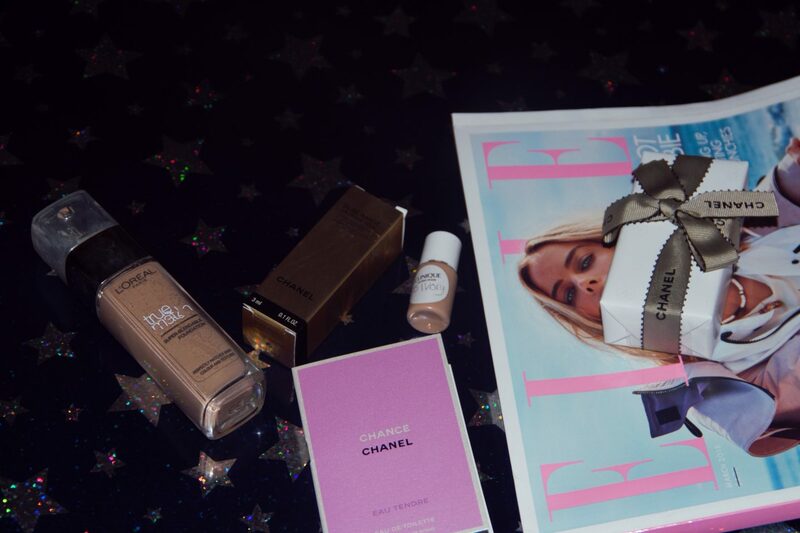 I bought this foundation from Sainsburys – it was on offer for £4 – can you believe!? I had seen quite a few adverts for this foundation, so, decided to give it a go. And, for that price, I couldn’t refuse. Though I had to guess with the colour match, which worked out fine. I went for beige and it’s a good match!! This foundation is lasting for ages. I’m still not even a quarter of the way through, as a little goes a long way. It really holds its own against the more expensive foundations. It’s easy to apply, very lightweight and hydrating, There are also a lot of shades to choose from. I haven’t used this foundation for a while but included it, as I wore it for such a long time. Out of curiosity, I decided to ask for a tester to see if it was still as good. My colour is silk ivory. After wearing it for a few weeks, I still find it to be a good foundation. 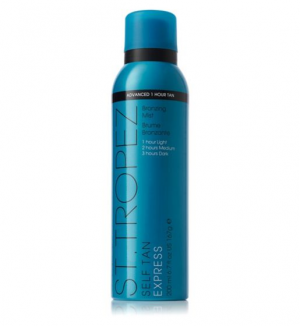 It has a lovely texture and sits well on the skin. It also provides great coverage without being too heavy. Thank you for reading my post. If you have any questions please leave a comment. I would like to share with you my journey through the last couple of years regarding skincare. In my younger years, l would lie in the sun all day with very little protection. I had no idea about SPF or protecting my skin, we just went for the burn – thinking how cool we looked with a bit of colour. Mind you, I never had that easy tanning skin. I went bright pink, then it all just all peeled off (not cool). It’s little wonder that I don’t now look like a prune. With our UK climate, we are generally lucky if we get a few days of sunshine in any one year, which has probably saved me. That said, this summer has been exceptionally hot!!! Over the years I have used many creams and serums that I thought would improve my skin, not really researching the ingredients and relying instead on the information or hype that came with that product. I would say it was around my late forties, early fifties when my skin started to change. I noticed the skin on my face was dried out, dull and well, awful really. My skin also felt irritated and tight, my immediate reaction to this was to buy moisturisers that made me glow like a bleacher beacon! I thought if I slapped on a rich cream that would do the trick, not so! This spurred me on to start to do my research to improve my skin, reading articles by experts, watching vloggers and gathering as much information as I could. I looked for bloggers and vloggers in my age group – I loved watching the young women as well, but they weren’t on the same journey as me, so I couldn’t really relate, women in my age group were hard to find back then, maybe I wasn’t looking hard enough. Thankfully this is now improving and women in midlife are certainly becoming more visible. I really enjoyed listening to the ones who I thought knew their stuff and I gained a lot of knowledge from them and still read their blogs or watch them on you tube today. I must also mention that around my late forties, early fifties it seemed to be a time that is quite frantic and stressful – you will all relate. Around this time when I felt the beginnings of the menopause everything else seemed to be also reaching a crescendo, such as children going through their own teenage hormonal stage, elderly parents or family starting to have health problems or issues – oh the list is endless and there we are trying to look after everyone as well as working and juggling other life balls as well! – so, no wonder things can become a little dramatic with the way we look and feel at this time, I know this was the case with me! Apologies for going off the subject but it’s all related to how we feel and look. Of course, nutrition along with drinking plenty water (I always forget) along with sleep (what’s that) and of course a high SPF cream is always recommended. Also, I know it really shows on my face when I have had a few days of overindulgence, you can certainly get away with that in your early days, but not now. 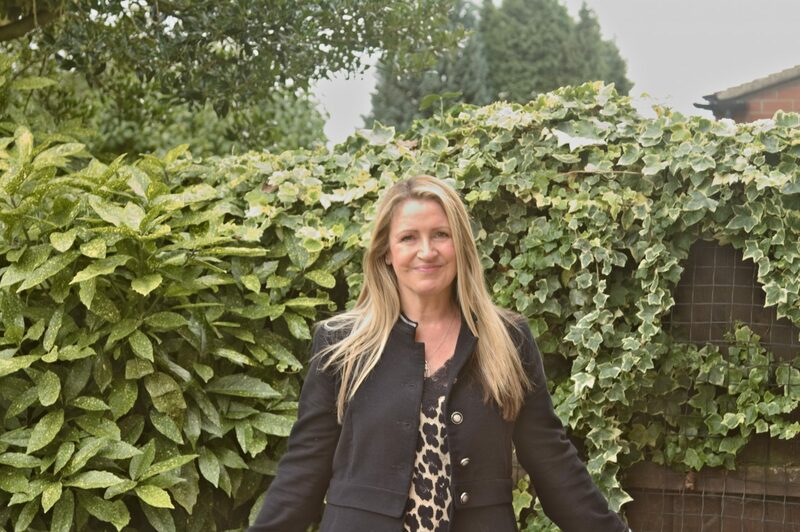 I have no experience of fillers, Botox or any laser treatments – I am certainly not against any of these – it’s just it’s never been on my radar. For me I wanted to see which skincare or active ingredients were proven to work. Skincare that I could try at my own leisure, to see if it was effective for me and beneficial to my own skin to make me feel better. 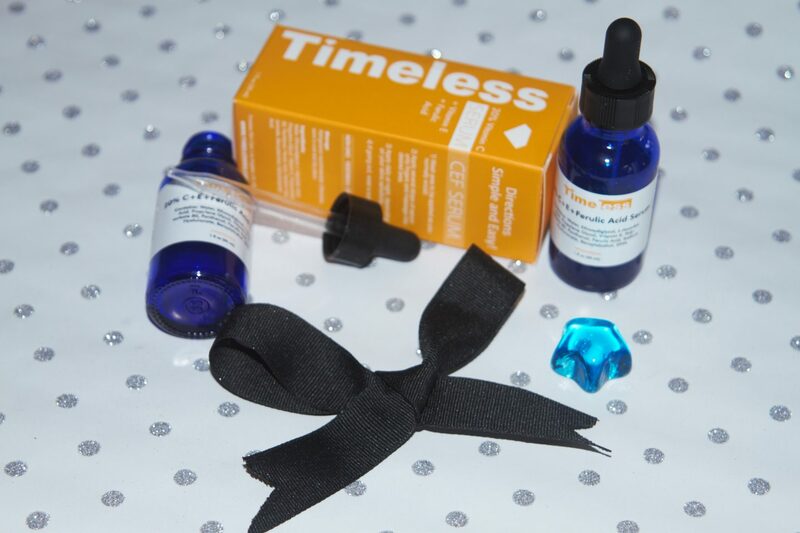 Following my research, I learned there is a huge list of ingredients that are effective for better skin – the ingredients that were mentioned time and time again are Retinols, Tretinoin (Retin A), Vitamin C, a whole host of peptides, AHA’s and other ingredients (it’s mind boggling)! 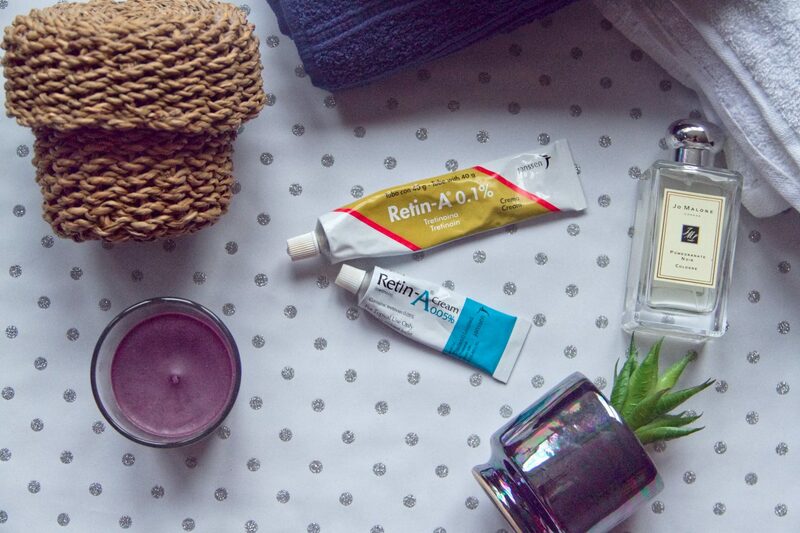 I thought I would keep it simple and try Retin A (Tretinoin) and Vitamin C, including it in my skincare routine. I did my homework regarding Retin A and to play it safe I started to use it gradually using the lowest strength first, using it once a week and very slowly building it up. It takes a long time for your skin to adapt, hence I’m still not onto the higher strength of 0.1% daily after using it for three years. So, the trick I have found is to go slow. This is certainly not for everyone. Tretonion is not available to buy over the counter in the UK, though it is in Europe and other countries – But I feel it has improved my skin and has worked for me – but may not suit everyone – so do your homework if you are tempted. As I am mildly obsessed with moisturisers and serums I will be doing some tried and tested products I have used along with my journey using Retin A in the future. Thank you for reading. Please subscribe to my blog if you enjoyed it!